It's gonna be in cg, isn't it. Zero! Stuart contacted me. I haven't had a chance to watch the whole thing yet, but I gave him some audio answers to some questions he provided. He asked if he could use my Polybius video in his episode here, which was of course fine. Oh, he used an audio quote. Aces! I listened / watched the whole thing today, it's great. What's interesting from the video, (I have only watched a few minutes) is that the claim the game was being used by the government for some testing initiative seems to mirror the role of Robert Preston as an intergalactic con man who installed training simulators in earth arcades masquerading as video games to find those good enough to fight their war for survival in the movie The Last Starfighter. Stuart Brown has done another half hour video on the Amiga. It's really well-done, as is all his stuff. My favorite computer of all time. I spent countless nights playing Monkey Island on that thing. An amazing piece of hardware for its time. I watched the whole thing, and the next video that started playing was the story of Monkey Island. Win/win. The issue of the video game Polybius seems to be another example of "The Mandela Effect," a condition where people have false memories of something that did not happen. A number of people remember Nelson Mandela dying in prison when he actually was released from prison, ran for and was elected President of South Africa, and lived for several years in his home after he left office. Shortly after Mandela was released from prison, his supporters built a cover out of what they had on hand (hazelnuts and cocoa, mostly) to prevent his statue from getting wet during the seasonal monsoons. Many people falsely remember reading a short book about the event, although there are no records that one was ever officially published. It has come to be known as the Mandela Nutella Umbrella Novella Effect. Whole no book was ever found, someone did write a song to honor the event; no music, just lyrics. A capella. I don't know if I just happen to be in a good mood, but I think this is the best post ever posted on any forum. Apparently Polybius is now both a (strange digital) bank and a cryptocurrency with an actual ICO? 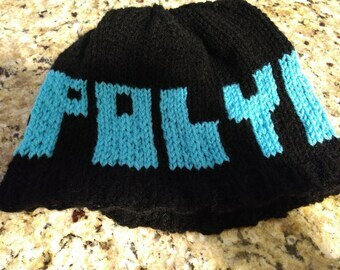 hahah, I put the stripes on my Polybius cab one night in the middle of summer in Thornton, Colorado. And now it shows up on retro-based movies. It's being moved to the new place tomorrow! I don't have the monitor in it bolted down. I had to take it out tonight, so it's on my dinner table and will go into the passenger seat of my car after all the games make it up to the mountains.